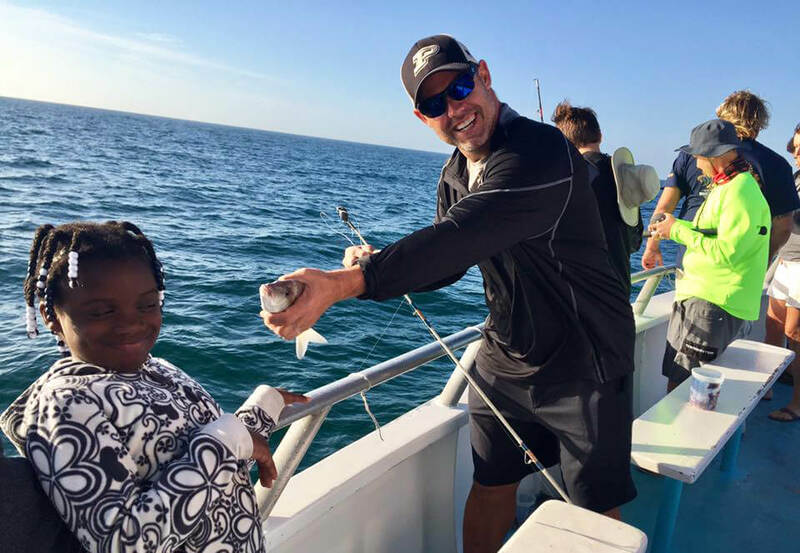 Earlier today the Foundation teamed up with 'A Reel Future' to host our 3rd annual holiday fishing party for nearly 50 kids currently in foster care at the Florida Sheriff Youth Ranch and Covenant Children's Home. The kids enjoyed a half day fishing trip, pictures, autographs, and were all given a $50 retail store gift card. Once we arrived back at the dock, the group enjoyed lunch courtesy of Little Greek Fresh Grill while the fish was filleted for each group to take home and prepare for dinner tonight. I think it's fair to say that a good time was had by all. Also, today's trip marked 1,000 kids that 'A Reel Future' has taken fishing since their inception.